RISE Research Institutes of Sweden: RISE Research Institutes of Sweden is a network of research and technology organizations. In global cooperation with academia, enterprise and society, we create value, growth and competitiveness through research excellence and innovation. 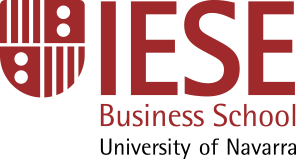 IESE Business School, Universidad de Navarra: The Center for Research in Healthcare Innovation Management aims to bring together the evidence, know-how and also the experience and ideas of all those enthusiastic innovators in health care that will allow having better and more efficient care. Karolinska Institutet: Karolinska Institutet (KI) is one of the world’s leading medical universities. Its mission is to contribute to improved human health through research and education. The Nobel Assembly at KI selects the Nobel laureates in Physiology or Medicine. Agencia de Qualitat i Avaluació Sanitàries de Catalunya (AQuAS): AQuAS’s role is to generate relevant knowledge to contribute to the improvement of the quality, safety and sustainability of the Catalan health system, focusing on assessment and using information, analysis and IT as main tools. 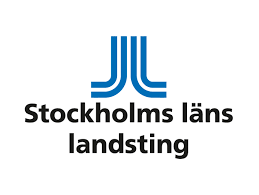 Stockholms Läns Landsting: Stockholm County Council is one of Europe’s largest healthcare providers, offering everything from telephone advice about self-care to advanced specialist care at the university hospital. Merck Sharp & Dhome (Sweden) AB: MSD Sweden is a Swedish subsidiary of Merck & Co., Inc., with headquarters in USA. We are a research intense health care company that discover, develop and provide society with medicines and services that improves people’s health. West Midlands Academic Health Science Network: The prime purpose of the WMAHSN is to improve health outcomes and generate wealth across the West Midlands through collaborative innovation and subsequent adoption at scale and pace. Semmelweis University: With a 240-year-old tradition of academic excellence, SU is one of Europe’s leading centers for R&D&I in biomedical sciences and the largest independent health care provider in Hungary providing international teaching for students from 74 countries.